I love food magazines. I currently have three favorite ones – MasterChef Australia, delicious., and Good Taste. A few issues of each of these are scattered on my coffee table and I find myself frequently flipping through them. It seems that different recipes appeal to me on different days – one recipe that I don’t like so much one day may be a recipe that I love on the next day. 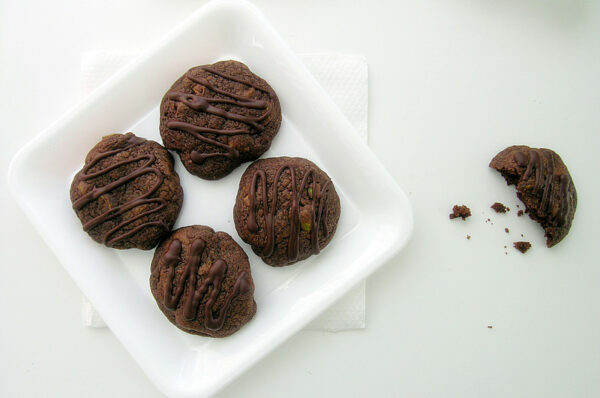 The recipe I’m about to share with you was one of those that I didn’t like one day, but fell in love with the next day – dark chocolate cookies with pistachios and milk chocolate chunks. It comes from the August 2010 issue of delicious. magazine, and was created by Bill Granger. 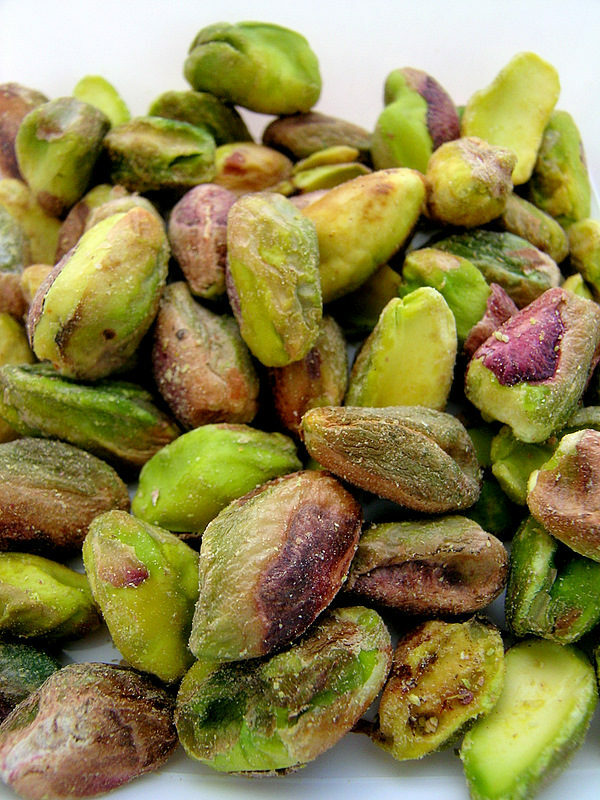 I’ve never been keen on pistachios, which is why I originally skipped over the recipe. Sure, the picture of the cookies in the magazine looked droolworthy, but when I read that there were pistachios I just turned the page. But the next time I looked at the magazine, these cookies basically screamed out at me to make them immediately. I had everything on hand already, except the pistachios. I chose a bag of pistachios that were already shelled so that I wouldn’t have to waste time in shelling them myself. To achieve a really dark brown color in these cookies and the ultimate chocolate flavor, I recommend using Dutch-processed cocoa (the recipe simply says to use “good quality cocoa”). This is rather hard to come by in Sydney, it seems, so I used Cadbury Bournville cocoa powder, available at any grocery store here. I would have used Green & Black’s cocoa powder, which is Dutch-processed and available at the gourmet grocery store, but I couldn’t quite afford it at this time. My cookies did turn out quite dark anyhow, so I was very pleased. For my milk chocolate chunks, I used Green & Black’s milk chocolate. This is by far my new favorite milk chocolate (originally, Cadbury’s was my favorite). And for the dark chocolate zig zags on top of the cookies I used Lindt 50% chocolate. These cookies took out a lot of my chocolate stash, which I have built up slowly whenever the best quality chocolate bars have been on special on the store, but it was well worth it. They are one of the best cookies I have ever tasted. In fact, they just may be my new ultimate favorite – chocolate chip cookies are so yesterday anyway! Okay, so I still love the old chocolate chip cookie, but wow. You have got to try these cookies. Empty your wallet for the best quality chocolates and you’ll be rewarded with these scrumptious gems. The cookies bake up nice and thick. They’re chewy, not crunchy at all. With the exception of the nuts, of course. The combination of different chocolates is a real pleasure to eat. The pistachios lend a totally different flavor and is a perfect switch from the average nuts you’d find in cookies – walnuts, peanuts, etc. I’m sure that if you don’t like pistachios you could add any other sort of nut, or if you don’t like nuts at all or are allergic, then I am more than positive that these cookies would still taste amazing without any nuts at all. As with any cookie, be extremely careful not to over-bake them. Cookies are so easy to over-bake, which completely (or very nearly) ruins them. If you’re unsure, err on the side of under-baked. Also remember, that with most cookies, if they look done while still in the oven, then they are over-baked – take them out before they look done. Look at how dark they are! Amazing! And the best thing about this recipe, besides the fact that I loved it, is that I got about a dozen more cookies than what the recipe said it would make. Awesome – the more the better! 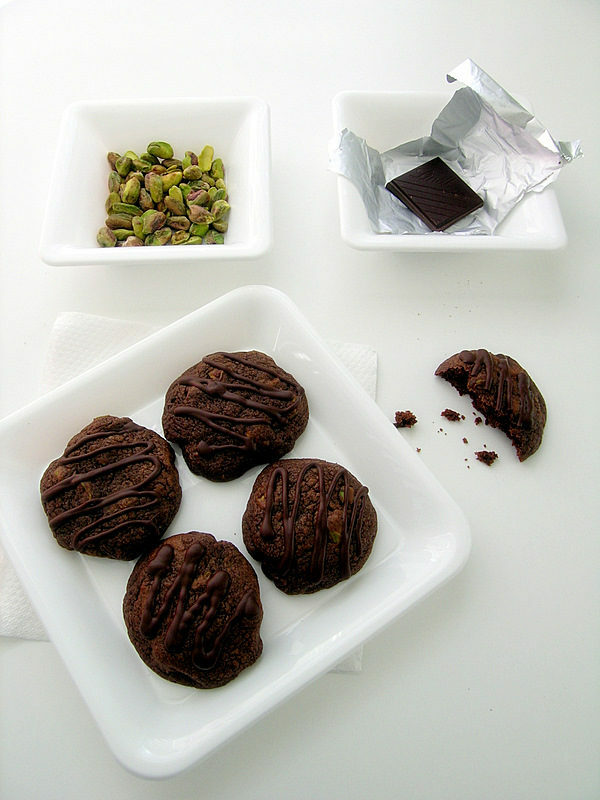 Dark chocolate cookies with milk chocolate chunks and pistachios. Preheat the oven to 180C and line 2 large baking trays with baking paper. Beat the butter and sugar with an electric mixer until thick and pale. Add the eggs, one at a time, beating well after each addition, until well combined. Sift the flour, cocoa, baking powder and a pinch of salt into the butter mixture and beat slowly until well combined. 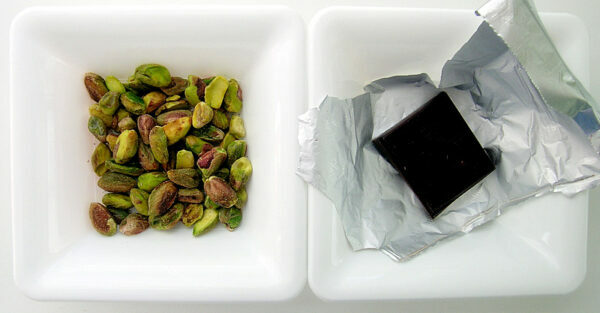 Stir in the milk chocolate and pistachios. Dollop heaped tablespoons of the mixture onto prepared trays. Flatten the dough slightly using damp hands, then bake for 12-15 minutes until cooked through. Cool on trays for 5 minutes, then transfer to a wire rack to cool completely. 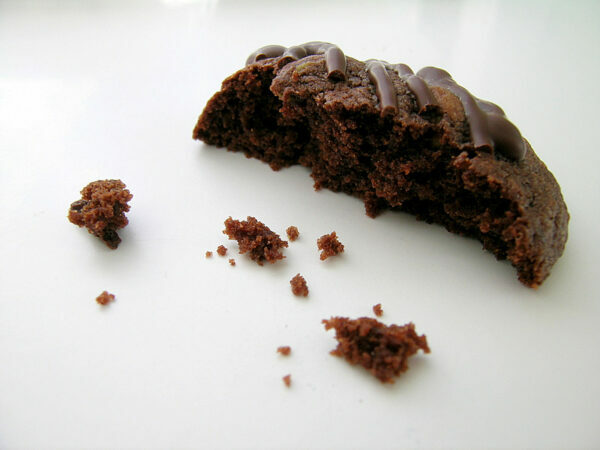 Once cool, drizzle the cookies with melted chocolate, then allow chocolate to set. 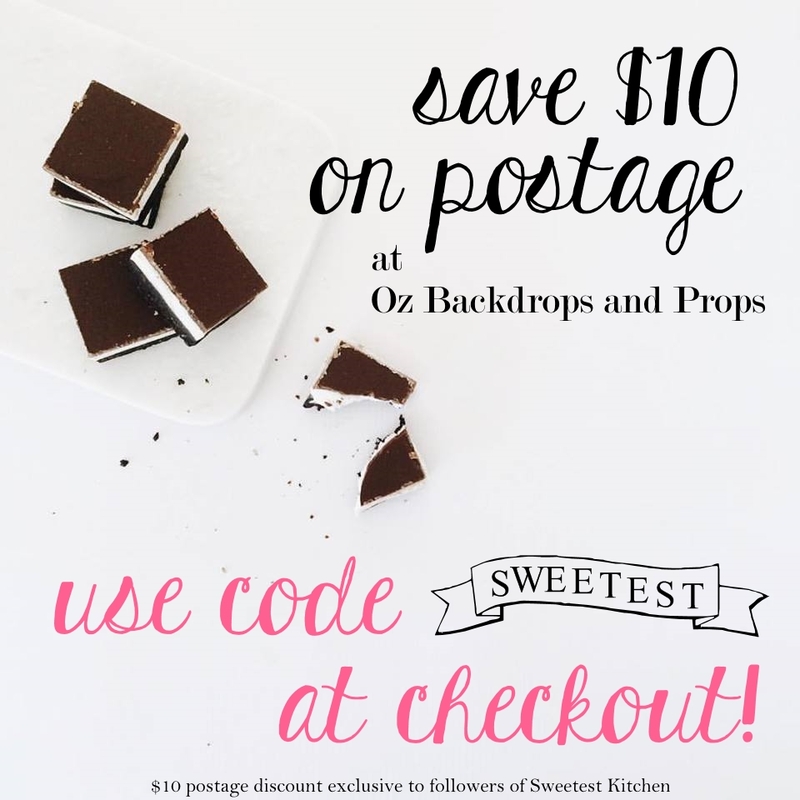 Well we’re sold on the recipe name alone…not to mention the deliciously gorgeous pictures. Dark chocolate? Milk? And pistachios? And chewy you say! HURRAH! I made these following the recipe to the T, but my cookies didn’t seem to rise at all. They just spread out and had a strange texture. They were delicious but I was just wondering where I went wrong?! I did add the baking powder. What kind of butter did you use? If you used a spread instead of butter, it could cause the cookies to spread. Otherwise, I’m not too sure what could have went wrong. If you decide to try them again, let me know how you go. These look and sound amazing! I think they will definitely be on the list of food I cook in the name of my assignment! Thanks for posting. OMG, that looks so good. I love pistachios. These sound so good! I have never had a cookie with a pistachio in it, but it has to be good since this is my favorite nut. I love food magazines too. My faovurites are MC, Delicious and Gourmet Traveller. These chocolate cookies are sinfully delicious! Oh my. These cookies look so dangerous and delicious! 🙂 Thanks for passing on the recipe and for the gorgeous photos. I made these for an assignment and they didn’t out great! They spread apart and did NOT rise! And to top it off after a full 15mins cooking and 10mins cooling time when i came to serve them they fell apart. Luckily my teacher is giving me a second chance of cooking, but where did i go wrong in the frist place? Hi there, someone else commented that this exact same thing happened to them. I’m really not too sure what could have went wrong, but the only thing I can ask is what kind of butter did you use? If you used a spread instead of real butter this is the first thing can cause the cookies to spread out. Also, use baking paper to bake the cookies on and don’t grease the paper. I’m glad your teacher is giving you a second chance! If you make them again, let me know how they turn out for you.